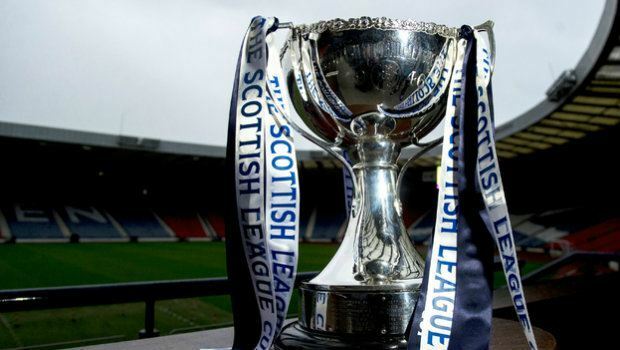 Hibernian and Ross County will meet at Hampden Park on Sunday 13th March for the Scottish League Cup 2016 Final, a favourite event for most football betting enthusiasts. Ross County are yet to win the trophy, but after their impressive turn in the semi-final, that could all be about to change in what's sure to be a thrilling final. The Scottish League Cup would be Ross County's first ever top-tier trophy. It would also be a chance for the Staggies to draw a line under the disappointment of the 2009/2010 season, when they made it to the Scottish FA Cup Final, but were left crushed after losing 3-0 to Dundee United. Ross County’s fans have been treated to an exciting season in which they've not only made it to the Scottish League Cup Final, but have also performed well enough to embark on a Scottish FA Cup run. The 3-1 win against Celtic in February's semi-final has been enough for Ladbrokes Sports to consider Ross County as genuine contenders, and they've made the team 10/11 joint-favourites to lift the trophy. Hibernian may have the stronger pedigree in Scottish football history, but Ross County have proven that they're a force to be reckoned with this season. Ross County have not had an easy run to Hampden, having beaten tough opponents in Ayr, Falkirk, Inverness and Celtic. And Hibernian will certainly be putting up a fight at the final, having struggled to maintain their place in the Scottish Premier League. Hibernian have had their fair share of challenges since being relegated to the Scottish Championship in the 2013/14 season. Ultimately, Hibs lost 4-3 on penalties after blowing a two-goal lead in their SPL playoff against Hamilton. Hibs are still in contention to return to the SPL this season, but will need to close the gap on Rangers. Manager Alan Stubbs has been a positive presence since he replaced Terry Butcher, whose unlucky sole season at Easter Road saw the club being relegated. And although Stubbs fell short of promotion during his first season, he'll be able buy himself another season at Hibs if he can inspire his players to victory over their SPL opponents. It's clear from their status as 10/11 joint-favourites at Ladbrokes Sports that Hibernian are still quite highly regarded in Scotland. It's unsurprising that confidence in the team remains, given their recent win against SPL teams in the competition. A 2-0 win against Aberdeen in the third round gave Hibs the confidence to beat Dundee United 3-0 in the quarter-final, and then St Johnstone 2-1 in the semi-final. Hibs have been defensively strong in the Championship. Their track record of conceding only 17 goals in 23 league games will be vital when it comes to stopping Ross County from scoring. Hibs have not been quite as successful in their attacking play, but they'll be hoping to rely on their talented young striker, Jason Cummings. The 20-year-old's impressive run of four goals makes him the joint-highest scorer in the competition so far and a favourite for the 'anytime goalscorer' market. Ross County can take comfort in the fact that the other highest scorer is in their team. 24-year-old Northern Irishman Liam Boyce has been effective in the league so far, and his edge on other players could mean his team is able to take home the cup silverware. On the day, the difference between winning and losing could well be the performance of a star player. Head over to Ladbrokes Sports now for the latest outright odds on the Scottish League Cup Final. In-game markets will be released closer to the game.